Front row: Christine Wisemantel; Emilie Tseronis; John Turnbull; Jan Turnbull. 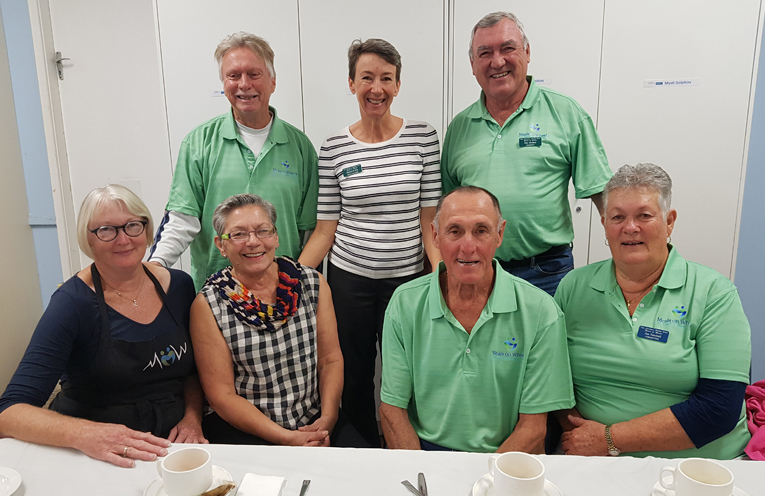 THE tables were groaning with morning tea delights, and the smiles on the faces of the Meals on Wheels volunteers told the story. They were all happy to be in each other’s company, a rare treat for the group, as they celebrated Volunteers Week last Wednesday. The team, which is based in the Hawks Nest Community Centre, cooks and delivers more than a thousand meals a month to clients who live as far away as Bulahdelah to the north, to Karuah to the south and all points in between. “Some of our volunteers have been with us for 15 years,” Dan Holmes said. Meredyth started as a volunteer at Bulahdelah more than 20 years ago, before coming on as staff. 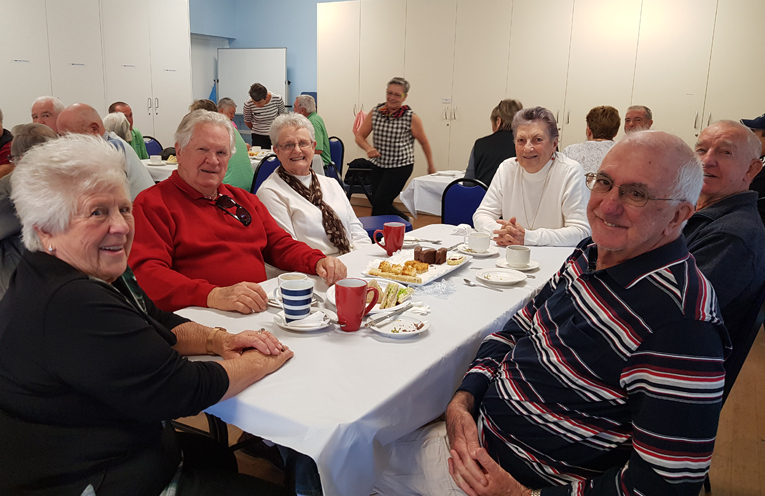 MEALS ON WHEELS VOLUNTEERS: Morning Tea Celebration.